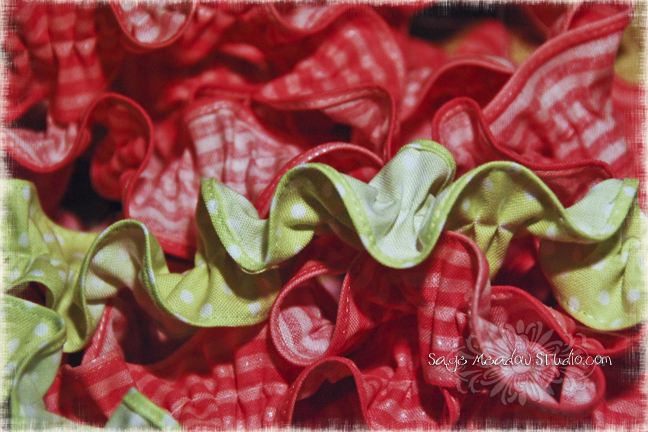 Couldn’t resist snapping a shot of this pile of ruffles today…shh! Can’t say more! CUTE, I LOVE RUFFLES! Can’t wait to see what they are for. Aahhh!!! They are so cute. Especially on the finished products. By the way, your packaging was lovely – love the tags and ribbon! Did you take photos of the finished products?